Imagine being able to win everything on your baby registry. That sure would save you a lot of time and effort of having to physically go out and buy these things with your own money. If there is a special baby in your life, you may just want to enter this great sweepstakes opportunity. Stay put and I will tell you all about the Amazon Baby Registry Sweepstakes. In order to enter the Amazon Baby Registry Sweepstakes you must first create a baby registry. Then, this is the fun part, you have to add 10 or more of your desired items to the list! One winner will be selected each week until July 25, 2015. These winners will receive a $500 Amazon Gift Card! 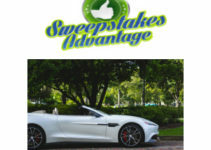 No purchase is necessary to enter this sweepstakes, nor will a purchase enhance your chance of winning. So what are you waiting for? This is your sweep to win! You must be a resident of the United States and over the age of 18 at the time of entry. Good luck to everybody who is planning to enter. Sweepstakes Advantage member brittles is enjoying the start to November with a great win. This lucky member won a Chicken Soup for the Soul Book in the Touched by an Angel Giveaway! That surely sounds like a blessed prize. Congratulations on that excellent win. I hope you all are having a great day. And I wish you good luck in all of your sweeping endeavors, especially the Amazon Baby Registry Sweepstakes. Have a wonderful day and Happy Sweeping!